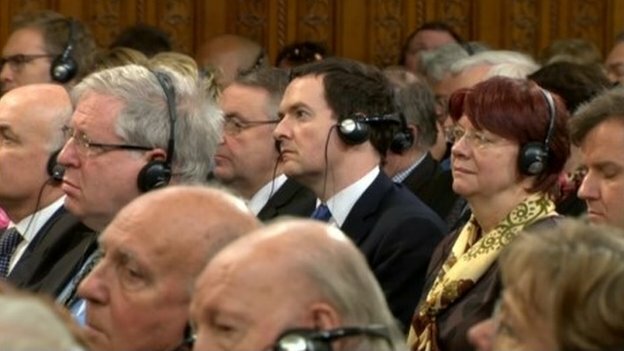 Why was David Cameron not wearing headphones? 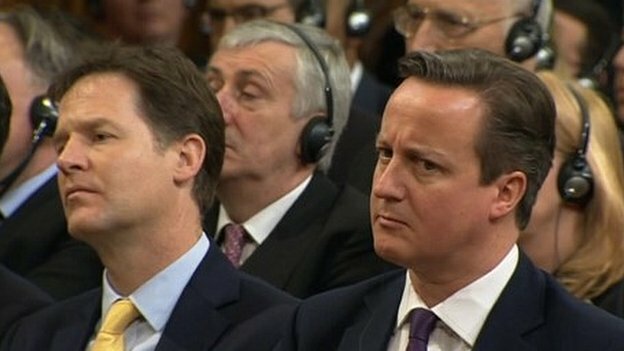 David Cameron and Nick Clegg stood out from the crowd as they watched German Chancellor Angela Merkel deliver an historic address at Westminster in her native tongue – neither was wearing headphones. Mr Clegg is well known for being able to speak several languages, German included, so unlike most of the other assembled dignitaries he did not need to hear an English translation. 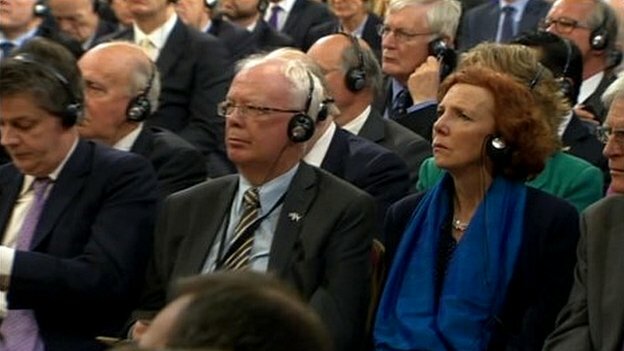 David Cameron is not a German speaker but, Downing Street aides say, he was listening to a translation through an earpiece. 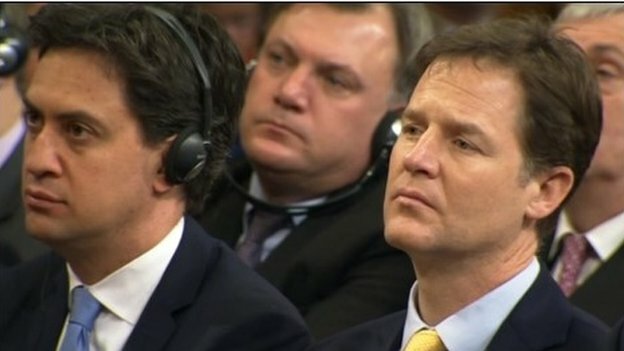 Shadow chancellor Ed Balls was also listening to the translation, in his own unique style.